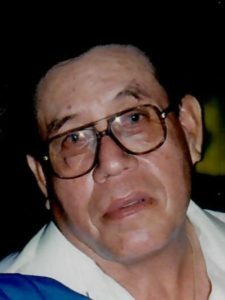 Albert Perez Gonzales, age 83 of Devine, Texas passed away Sunday, January 27, 2019 at his residence. He is preceded in death by his parents, Pablo and Lucia P. Gonzales; sisters, Anita Aguillen, Pauline Ortiz; Elida Gore. He is survived by his wife, Arcilia G. Gonzales; sons, Albert Gonzales, Jr. and Paul Gonzales; daughter, Hazel Gallegos; sister, Dora Ward; nine grandchildren; 13 great-grandchildren. Visitation was held Tuesday, January 29, 2019 from 2:00 pm to 9:00 pm with the Rosary recited at 7:00 pm in the Hurley Funeral Home Chapel in Devine. Mass will be celebrated at 11:00 am Wednesday, January 30, 2019 at St. Joseph’s Catholic Church with interment to follow in the St. Joseph’s Catholic Cemetery.